One of the world's leading child psychologists shatters the myth of "good parenting"
Caring deeply about our children is part of what makes us human. Yet the thing we call “parenting” is a surprisingly new invention. In the past thirty years, the concept of parenting and the multibillion-dollar industry surrounding it have transformed child care into obsessive, controlling, and goal-oriented labor intended to create a particular kind of child and therefore a particular kind of adult. 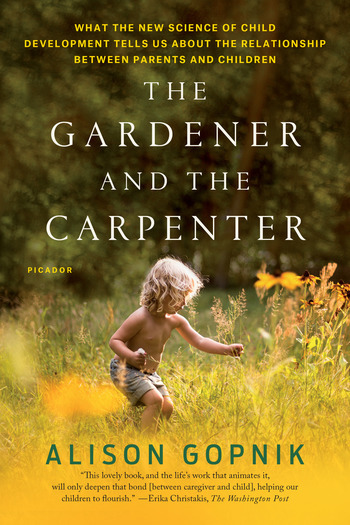 In The Gardener and the Carpenter, the pioneering developmental psychologist and philosopher Alison Gopnik argues that the familiar twenty-first-century picture of parents and children is profoundly wrong—it’s not just based on bad science, it’s bad for kids and parents, too. 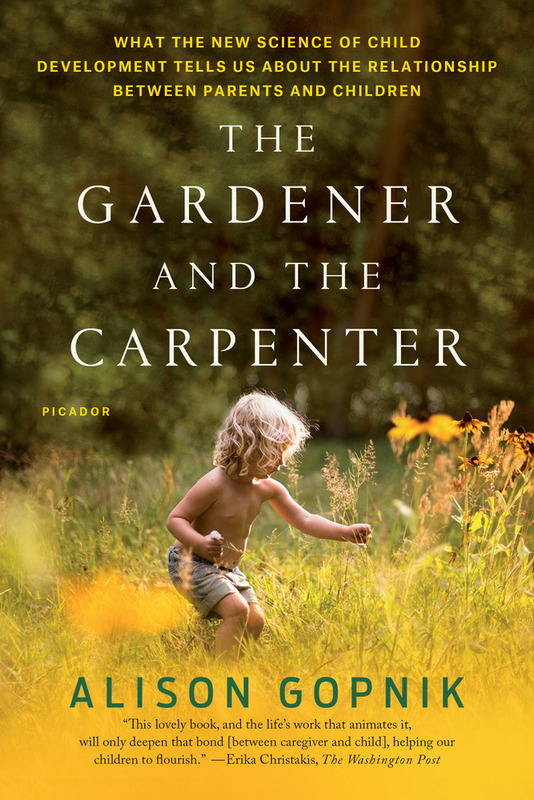 Drawing on the study of human evolution and her own cutting-edge scientific research into how children learn, Gopnik shows that although caring for children is profoundly important, it is not a matter of shaping them to turn out a particular way. Children are designed to be messy and unpredictable, playful and imaginative—and to be very different both from their parents and from each other. Why be a parent? Taking care of children is demanding and exhausting, and yet for most of us it is also profoundly satisfying. Why? What makes it all worthwhile? Alison Gopnik is a professor of psychology and an affiliate professor of philosophy at the University of California, Berkeley. She is an internationally recognized leader in the study of children's learning and development. She writes the Mind and Matter column for The Wall Street Journal and is the author of The Philosophical Baby and coauthor of The Scientist in the Crib. She has three sons and lives in Berkeley, California, with her husband, Alvy Ray Smith.